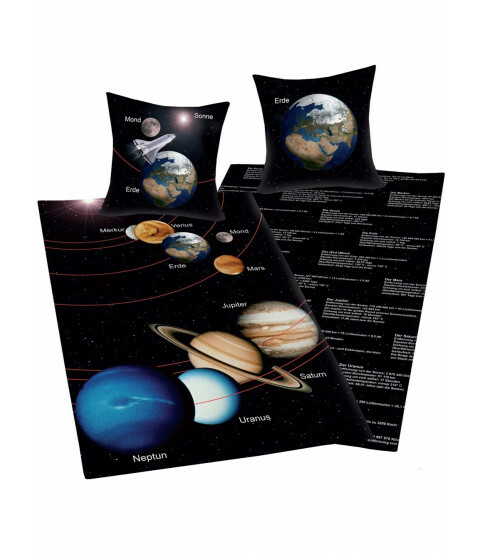 This Solar System reversible single duvet cover and pillowcase set is the perfect bedding set for budding astronauts and astronomers. 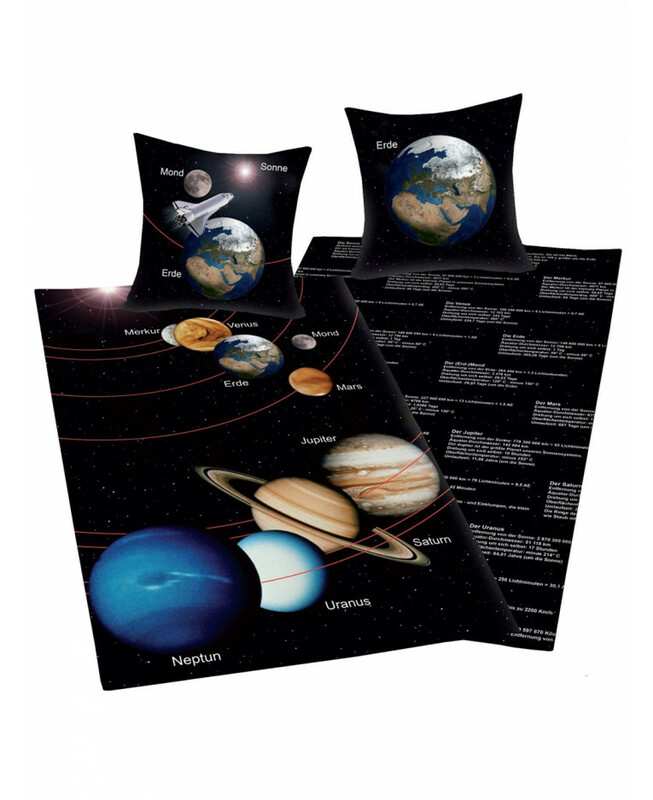 The front design is includes great images of the solar system and their German names set against a black background. The reverse features interesting facts about the planets written in German. This item is suitable for machine washing and tumble drying on a low setting.